What do you get when you bring together favorite flowers drenched in the most delicious shades of summertime? 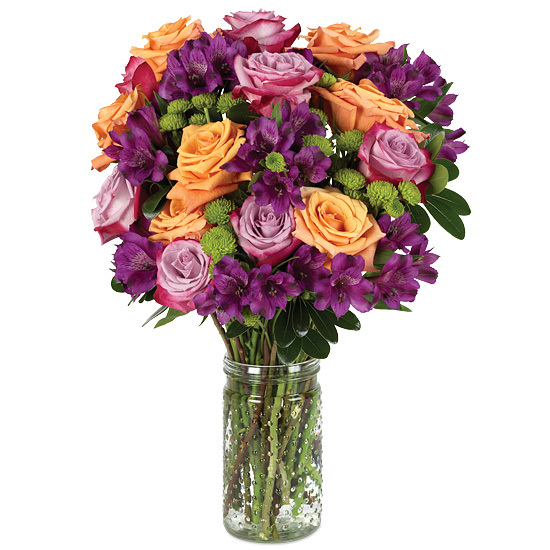 A bouquet so fun and fashionable you’ll want to send it to everyone you know! 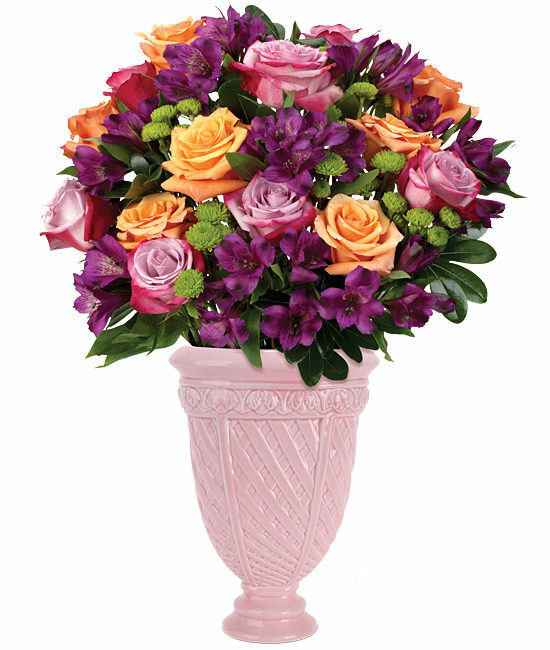 Button mums looking as sweet as key lime pie, bi-color roses bringing to mind fresh peaches, purple alstroemeria the color of raspberry sorbet, and pink-lavender roses a shade similar to freshly picked strawberries – what a yummy gathering of beautiful blooms, each stem complementing the others in our pink ceramic urn with raised trellis design. Clean your container before adding water. Remove all foliage that will fall below the water line which can decompose and allow harmful bacteria to grow. Remove the “guard petal” on each rose – this is the outermost petal left on to protect the bud during shipment. Cut stems underwater at an angle. Keep flowers out of direct light in a place with good air circulation. Always add fresh water daily. Change water, clean container and recut stems every other day.